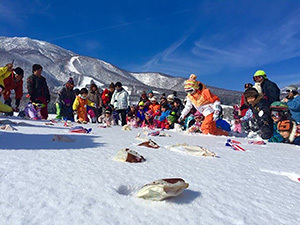 Kurohime Kogen Snow Park is a ski and snowboard resort located on the eastern slopes of Mt Kurohime in the northern region of Nagano Prefecture. The resort features one of the largest 'Family Park' areas, covering an area larger than 20 times the size of Tokyo Dome. It offers some of the best fun facilities towards families out there. 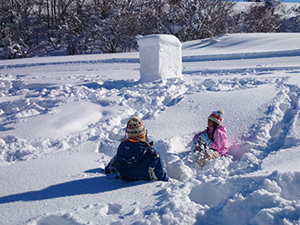 Kurohime Kogen Snow Park enjoys an excellent location. 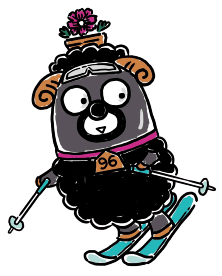 The resort is less than 10km to the south of the popular ski resorts in Myoko (in neighbouring Niigata Prefecture). 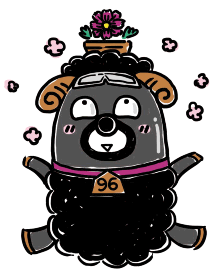 Madarao Kogen is about 20km to the east. 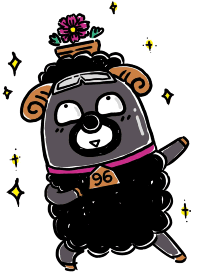 And Nozawa Onsen and the Shiga Kogen area are also within reach. 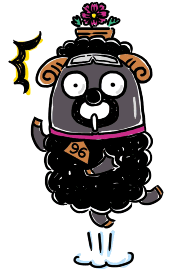 Nagano City is about 30km to the south. 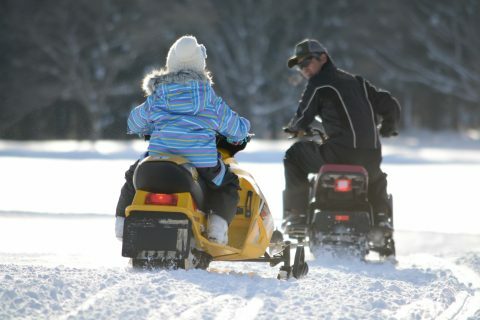 The region truly offers a huge choice of winter sports, leisure and cultural activities... not to mention local cuisine. 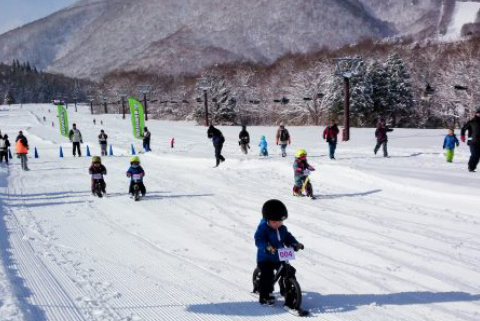 Five ski lifts operate at Kurohime Kogen Snow Park - one quad lift and four pair lifts - and they service 10 official ski and snowboard courses, the Family Park, two Park areas, a 3km/5kmcross country course and Kids Park. 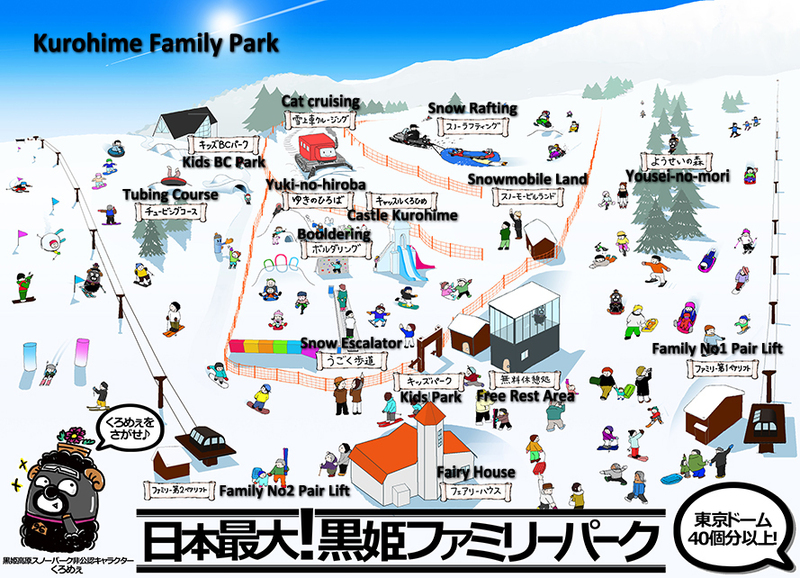 Kurohime Kogen Snow Park is rightly proud of it's large Family Park at the base of the resort. 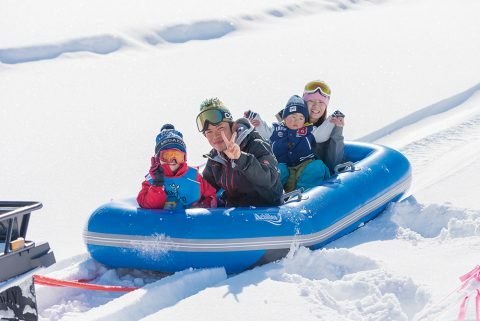 This Family Park features a huge range of activities to enjoy 'playing in the snow' or 'yuki-asobi' as we say in Japan. There are 2 areas as shown on the above course map - Area 1 and Area 2. Please note that charges apply to some activities within the park. See below for full details. 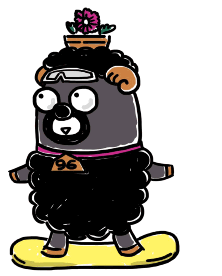 After a simple lecture, go round the 30-40 minute course twice. Children are welcome to ride along with a guardian. Go round the Snow Rafting course twice; the ride takes about 10 minutes. Snow might get in your eyes and snow goggles are recommended! 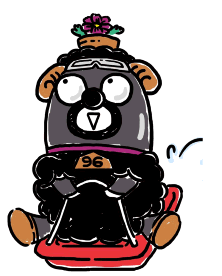 Ride a cat machine on a specially prepared course. At the end point enjoy playing in the (hopefully) untouched snow. The ride takes about 30 minutes. Young children must be accompanied by adults. 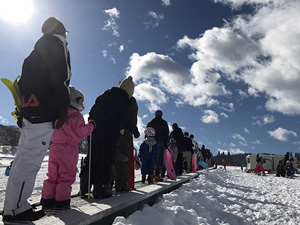 For skiers and snowboarders looking for some park action, there are two snow parks available at Kurohime Kogen Snow Park- the Black Cosmos Park and the Cherry Park. 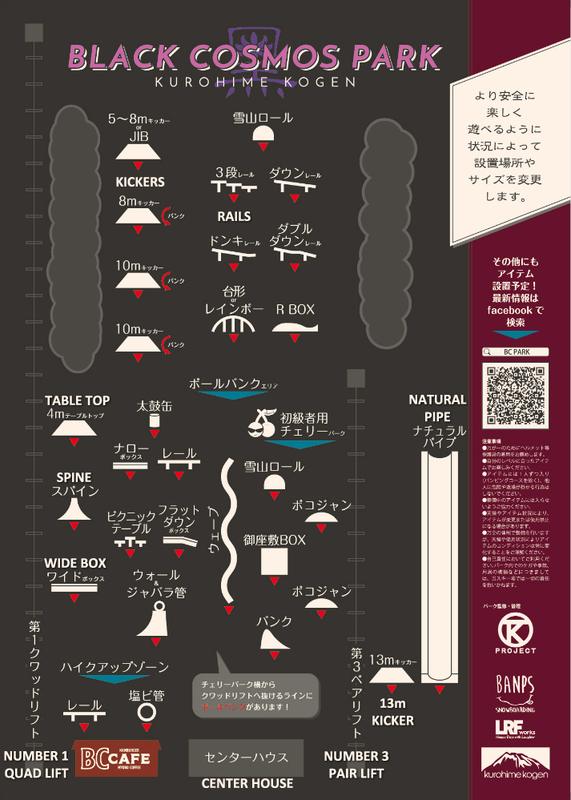 Black Cosmos Park features various kickers, rails, boxes, table top and wall features. Cherry Park is more suited to beginners and those wanting to enjoy a simple park in safety. 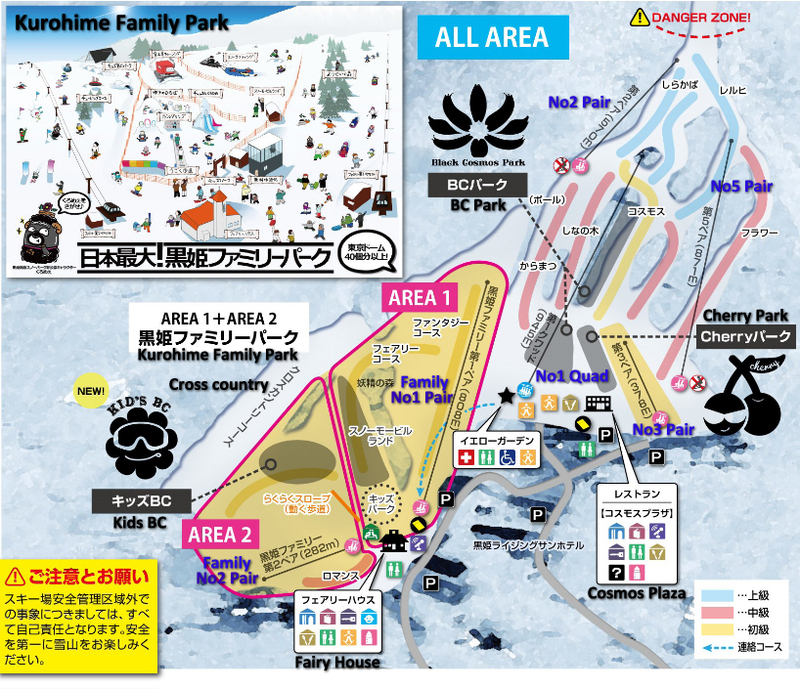 Below are the main lift ticket prices for the 2018-2019 season at Kurohime Kogen Snow Park. 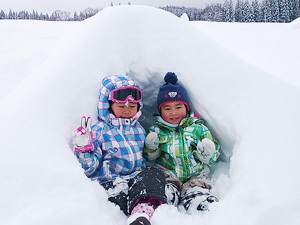 Kurohime Kogen Snow Park is located in Shinano Town in the northern part of Nagano Prefecture, and close by Myoko in Niigata Prefecture. The resort base is about 5km from the Shinano IC exit of the Joshinetsu Expressway. 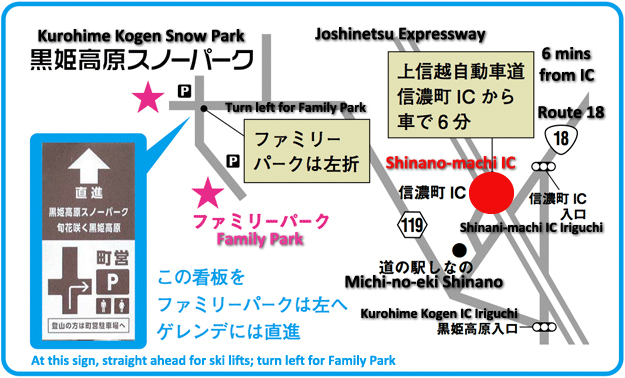 Kurohime Kogen Snow Park is about 20 minutes from Kurohime Station (Kita Shinano line). 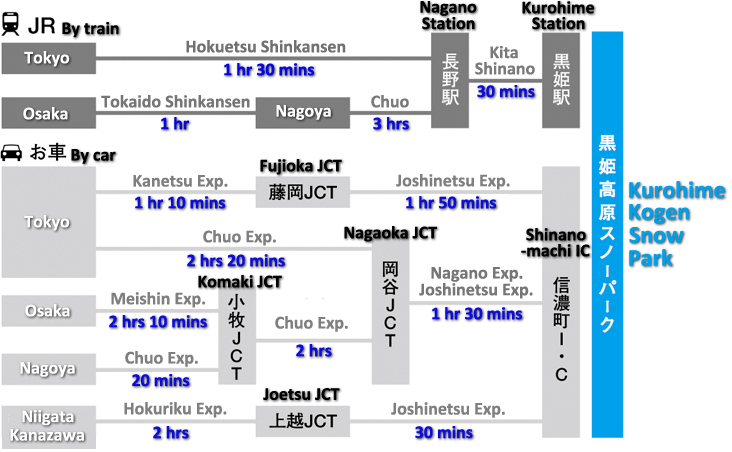 A free shuttle bus service is available from Kurohime Station.